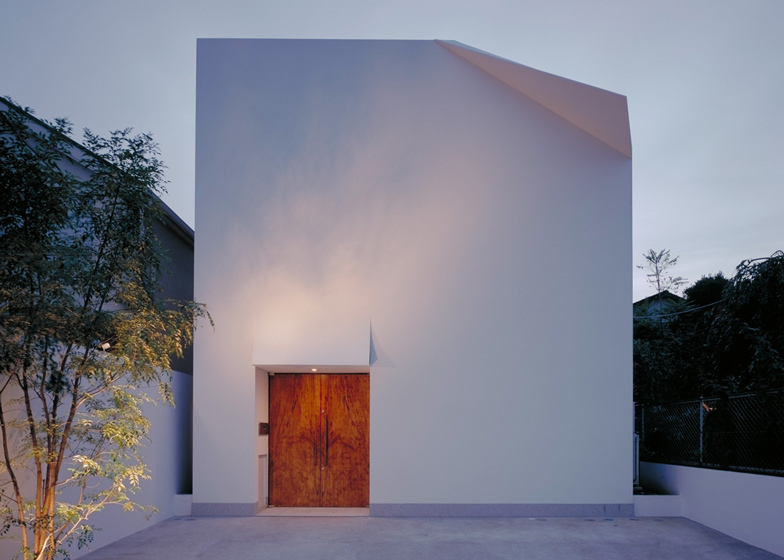 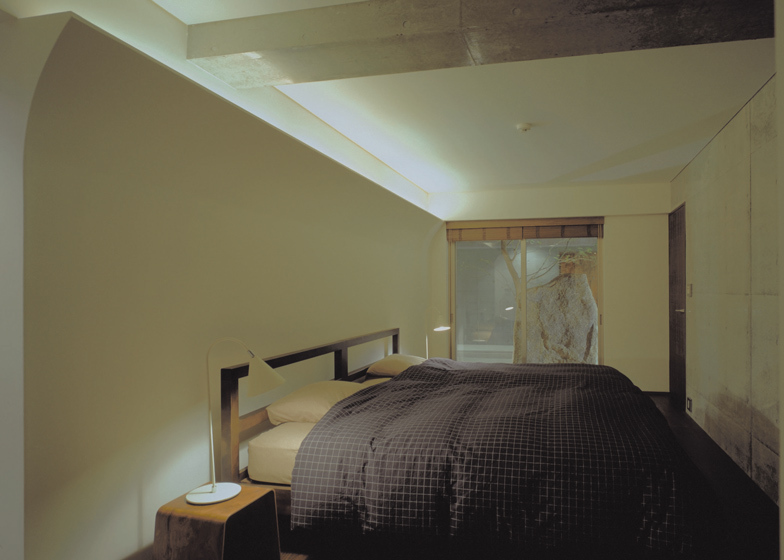 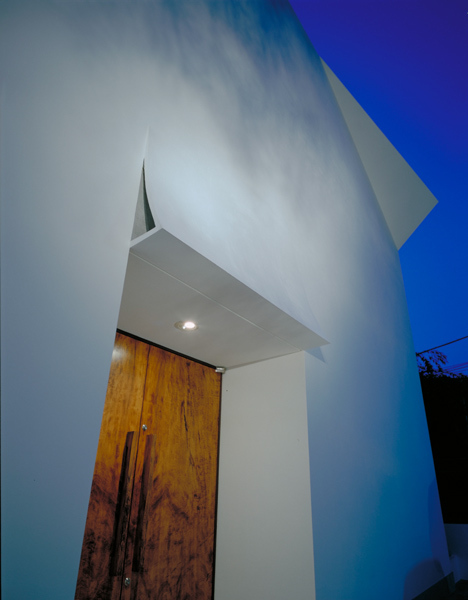 Japanese architect Yukio Hashimoto designed a small minimalist house in Kyoto, Japan, featuring a front wall with a folded corner that appears like a white folded piece of paper. 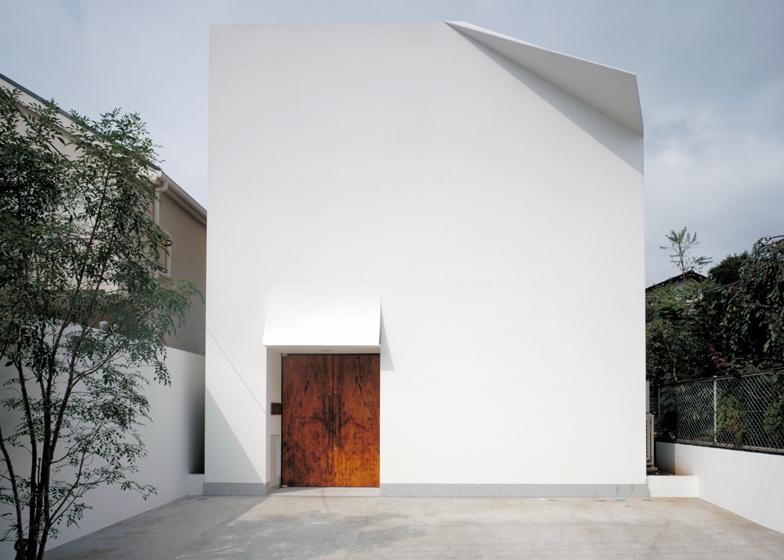 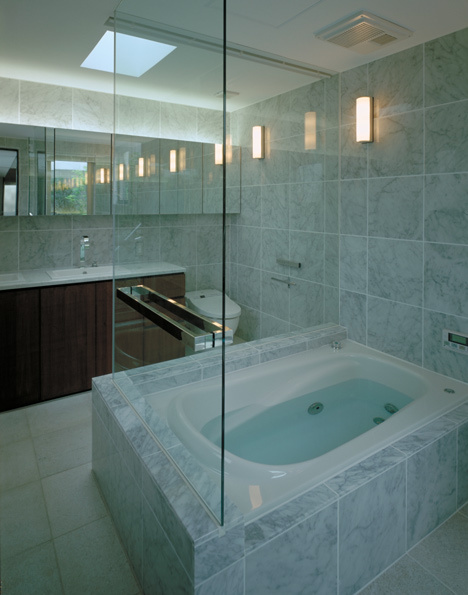 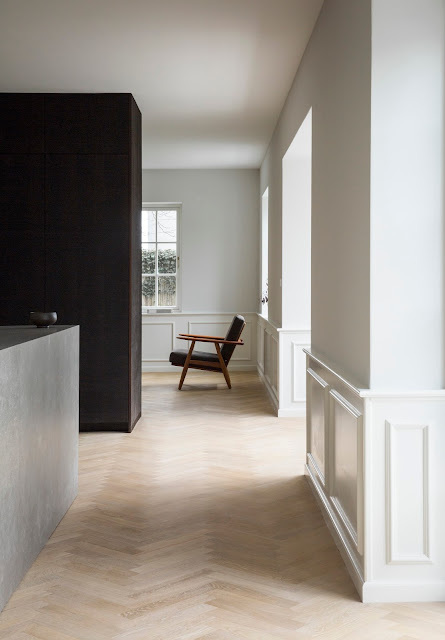 The two-story windowless facade evokes an association with the traditional Japanese art of paper folding, origami. 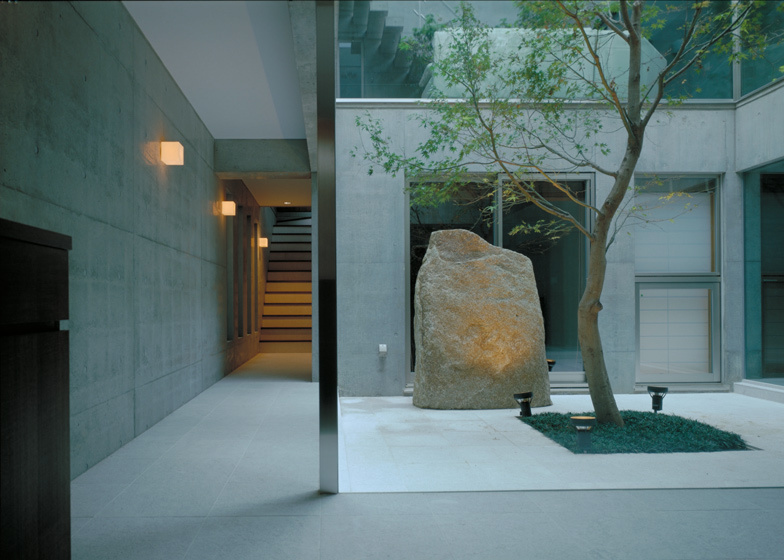 The house is filled with natural light through its inner garden, an internal courtyard surrounded by glazing with a tree at its centre.